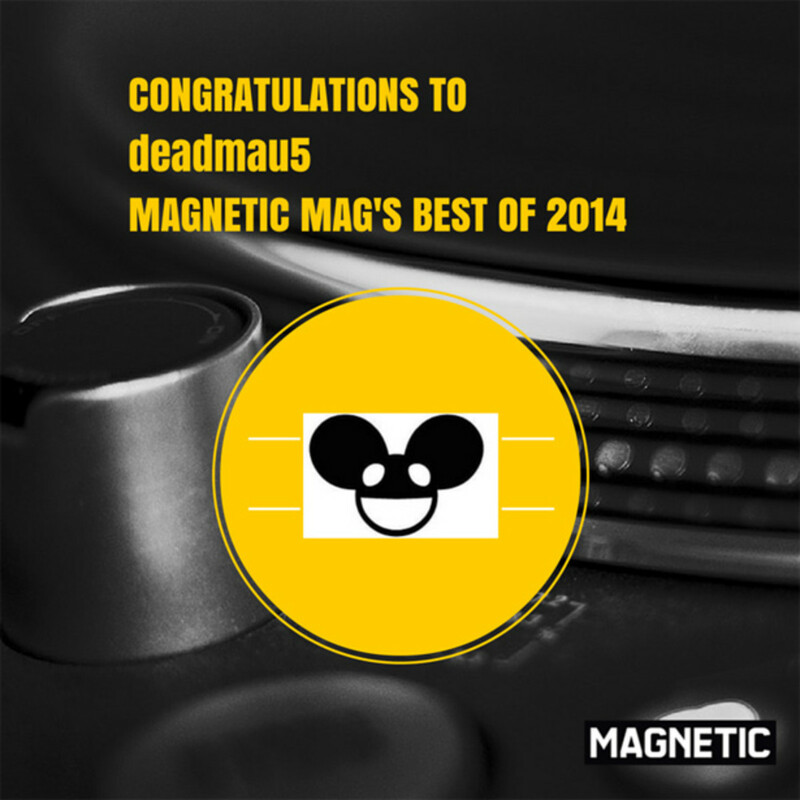 It’s always hard to pick a favorite song out of so many great ones this year, but our readers made the call with their votes and decided on “Avaritia” by deadmau5 for Best Song 2014. 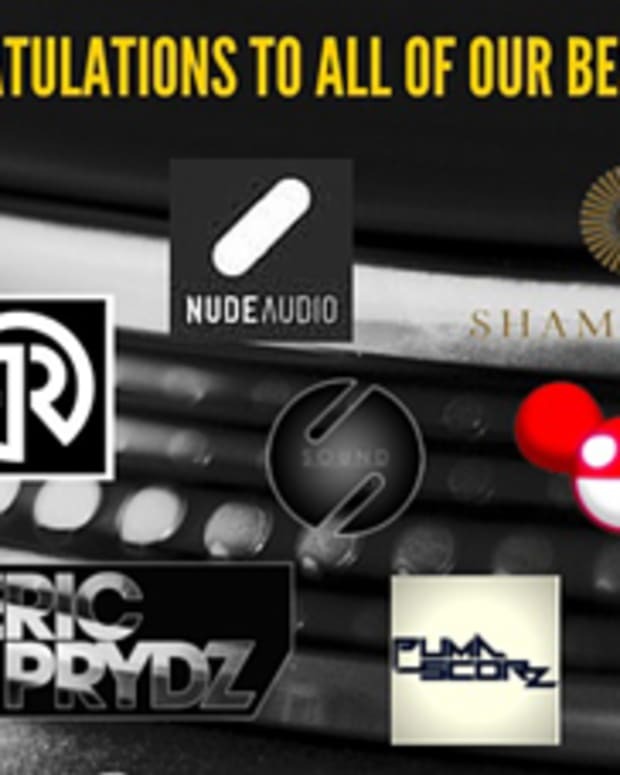 Over 45,000 votes came in over the course of the last month letting our readers vote for their favorites in each of our categories: Best DJ Headphones, Song, Remix, DJ Set, Music Festival, Nightclub, Record Label, Album, Promoter, Wireless Speaker and DJ Controller. Magnetic Magazine worked with our friends at Ranker to make sure the voting was transparent, not hacked, and there were no duplicate IPs allowed to vote. So this ladies and gentleman is truly a peoples vote! 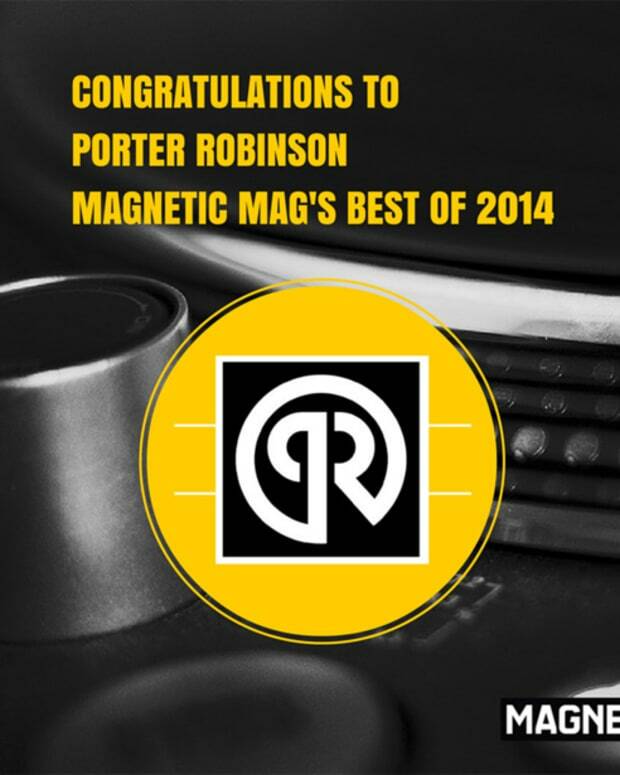 Thanks for all of our great readers who nominated and voted for their favorites. 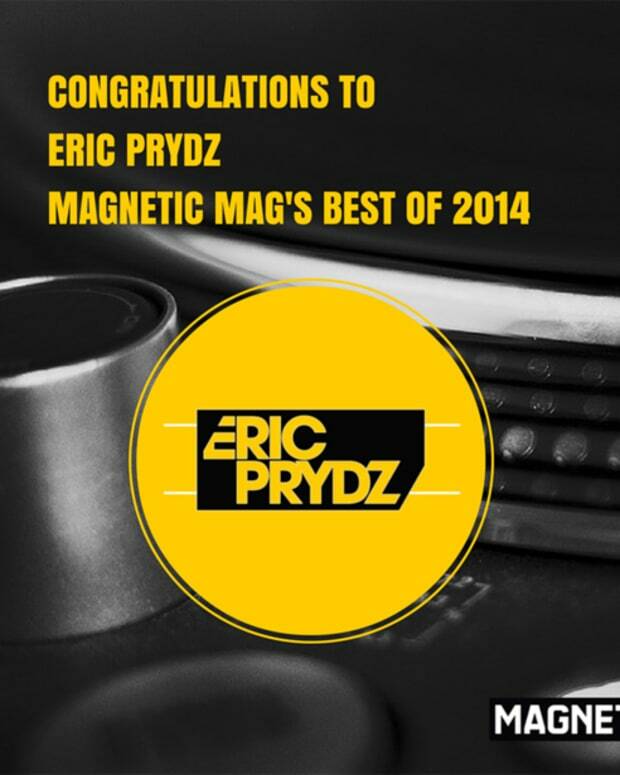 There was some incredibly great products, promoters, clubs, festivals, songs, labels and DJs in this years categories. So we have included the top ten or five runners up as well to let you know where everything landed. 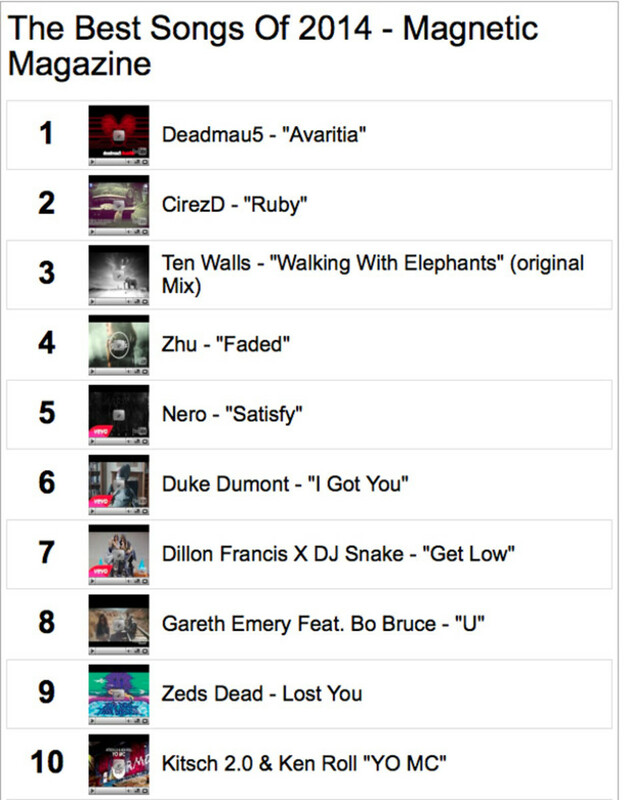 Top Ten Songs: “Avarita” by deadmau5, “Ruby” by CirezD, “Walking With Elephants” by Ten Walls, “Faded” by Zhu, “Satisfy” by Nero, “I Got You” by Duke Dumont, “Get Low” by Dillon Francis x DJ Snake, “U” By Gareth Emery Featuring Bo Bruce, “Lost You” by Zeds Dead, “Yo MC” by Kitsch 2.0 & Ken Roll. Congratulations to all of our winners and finalists. Happy Holidays!